Know someone with back pain? If you're over 30 you've probably suffered from back pain some time or other in your life. In fact, 60 to 80 percent of adults suffer from chronic or periodic back pain. So chances are either you are looking for simple and effective ways to ease your back pain or you have a friend or family member who could use some relief from his or her back pain without going to the doctor, physical therapist, chiropractor, or acupuncturist. Here are 10 of the highest-rated low-budget gadgets that can help ease back pain. They can all be used solo, without the aid of others. Whether through stretching, TENS, acupressure, a supportive device, or a soothing application, they all help in their own ways to relieve back pain. Using a combination of several of these devices, together with some careful fitness activities, can dramatically improve back pain. If you stand or sit for long periods, two major causes of backache, your spine compresses and causes pain. Stretching your spine helps relieve that pressure and should be a regular exercise for anyone who can manage it. 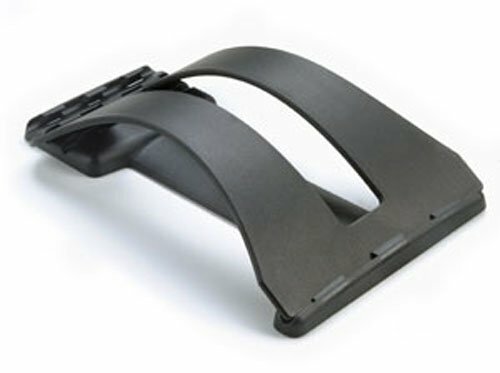 The Arched Back Stretcher has a soft cushion built in, so is naturally more gentle and comfortable than the hard plastic stretchers. You can place the Arched Stretcher on the floor or on a mattress. It does not have multiple levels of stretching, but if placed on a yoga mat, you can slide along the Stretcher to focus on the areas of the back that most require relief. This is truly an amazing device for some back pain sufferers. It not only stretches your spine, it realigns it. You sit on the floor in front of the Spine-Works and then very slowly lie down, vertebrae by vertebrae between the yellow racks of the device. 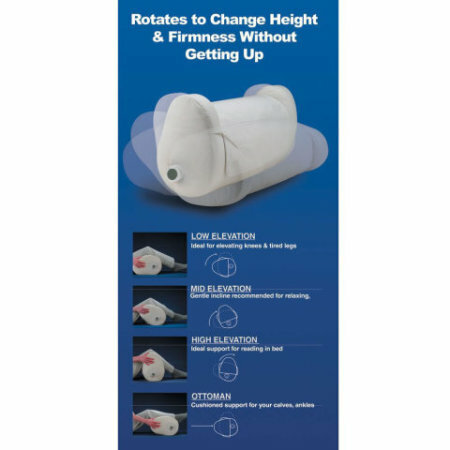 This device should not be used by someone who has difficulty getting up from the floor, someone who is recovering from back surgery, or someone experiencing acute pain. Lying on the device is not immediately a pleasant experience, but as your spine relaxes, you begin to feel relief. The Spine-Worx is very good for posture improvement. Acupressure is a great way to relieve stress in the back and stress is one cause of back pain. The devices I've chosen are beneficial and safe for any adult to use. Do not allow children or pets near them as they have sharp edges that can injure them, particularly if stepped upon. 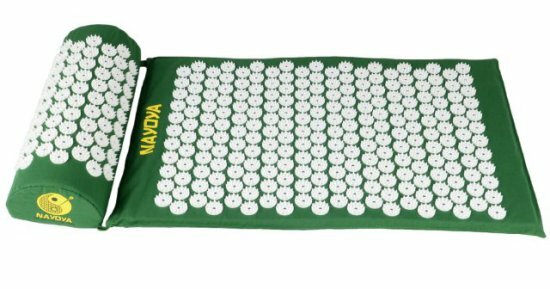 The Zensufu Acupressure Mat and Pillow contain thousands of points or spines which, when leaned or lied upon, release pressure from your back and neck. Getting used to these spines takes a bit of time, but you can experiment with the Mat and Pillow by putting layers of clothing, blankets or towels between you and the devices and/or start by placing them on a mattress instead of the floor. Once upon them, they really feel quite good, and you can use the mat on any part of your body. The Mat and Pillow comes in a carry bag. Long used by physical therapists and chiropractors to stimulate blood flow to muscles, portable TENS machines are now available for home use. Portable machines allow the user to set the intensity and pulse of the stimulation and to vary it, as needed. 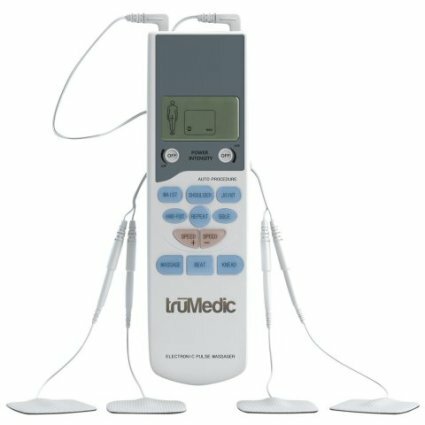 The TruMedic Portable TENS machine is a top-rated low-priced TENS unit that has both preset programs and ones you can set yourself. 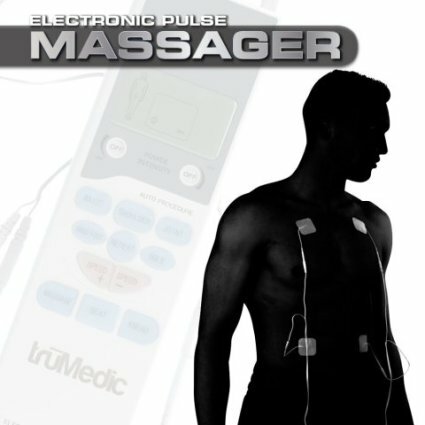 With its four electrode pads, the TruMedic TENS massages sore spots and, because the user decides at what speed and pressure it will do that, he or she can maximize whatever results are derived from the machine - which consumers say are quite good. The TruMedic is battery-operated and its electrode pads must be replaced periodically. A portable TENS machine without wires! If that's appealing to you, as it is to me, then the Hollywog TENS Back Massager is for you or your BMF/BFF. The WiTouch is preprogrammed for 30 minutes, including 5 initial minutes of light stimulation, 20 minutes at heavy, and another 5 minutes at light. I recently devoted an entire blog post to the WiTouch, including a video, which you can read here. When instant relief from tightness and back pain are needed, a good massage can take your back pain from horrible to manageable almost instantly. Massagers come in a wide variety of sizes with tons of options but this is my favorite. 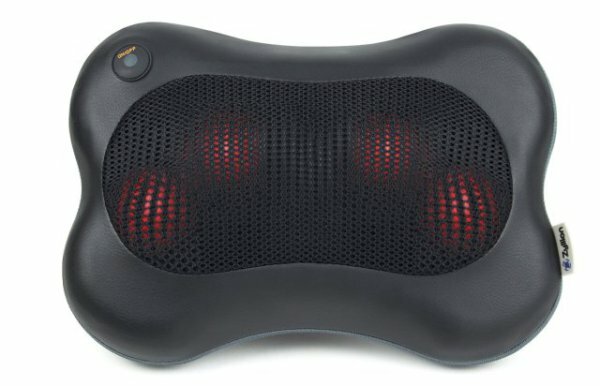 The Zyllion Shiatsu Massager is light and portable and can be used almost anywhere. It can be positioned exactly where you need massage relief. There are four separate nodes that provide a deep rotating motion that switches direction every 3 minutes or so and it also heats up nicely. It's not packed with a lot of features that premium back massagers offer but what it does have for the price is great targeted relief almost instantly for tight muscles and cramping backs. I love that it is so light and easy to use. I switch back and forth sometimes with the much more cushioned HoMedics Shiatsu Plus Pillow to minimize soreness. It's no surprise that millions of outdoor and indoor laborers who lift heavy items, climb ladders or trees, or just do a lot of standing use compression wraps. 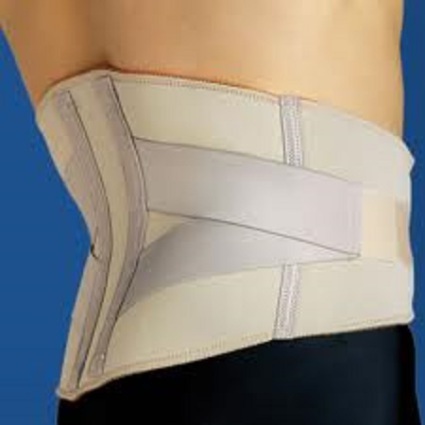 The support and heat they provide to the soft tissue areas of their lower backs really helps keep them from injury. And if already injured, compression wraps do help increase circulation to the area, which eases pain quite a bit. This is a very high quality Compression Lumbar Wrap made from layers of strong fibers and elastic that contour to the shape of your body. Available in 4 sizes, this Lumbar Wrap not only eases pain, but is comfortable to wear daily and supports proper posture and alignment. 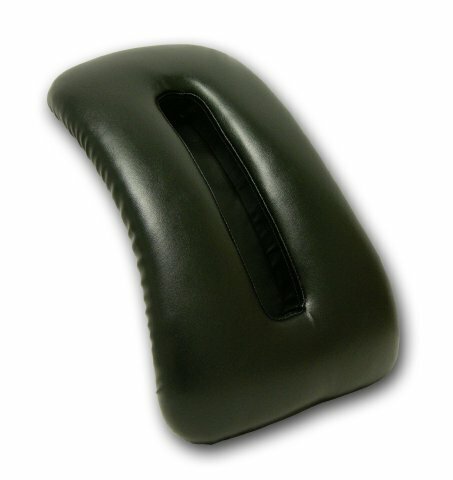 Posture support devices can range from chairs and pads to pillows. If you have back pain, pain can vary dramatically depending on the position of your back, legs, arms, and neck. For lower back pain, the position of the knees is especially important when sitting and lying down. Here's a great support pillow just for the knees that is flexible enough for any body position. This exceptional pillow provides support for your knees no matter what position they are in. The secret to the Comfort Knee Pillow is an internal air piston that adjusts with a turn of a knob, enabling the pillow to shape itself to your posture to provide just the right amount of support for thighs, knees, or calves and ankles. 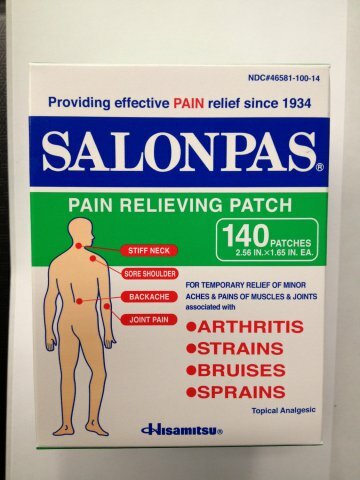 Salonpas are pain relief patches. Although the pain reliever comes in spray and other forms, I only recommend the patches. The ingredients on the patches that adhere to your body are camphor, menthol, and methyl salicylate and they are absorbed through the skin and they do seem to relieve moderate pain for most persons. So, if you are looking for a modest gift or a stocking stuffer for a back sufferer or anyone else with joint or muscle pain, Salonpas would be welcome. I hope this has been a helpful guide to gift giving for friends and relatives with chronic or periodic back pain. Originally published December 2013 and updated December 2015. Social Media's Weak Ties Cannot Lead To Social Change? Could Social Media Currency Replace the Dollar, Euro or Yuan?